Sherri Hill 51856 is classic yet modern and beautifully chic. Clean lines highlight your figure in the satin A-Line ball gown. 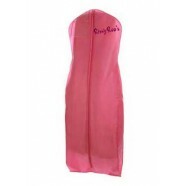 The v-neck bodice has tank straps that lead to a v-back and a center zipper closure. Sheer panels of illusion material are found at the sides where there is a subtle sexiness to the v-cuts. Glide across the dance floor with the sweeping train that flows behind you. Available in almost all colors of the rainbow, it will be easy to find a color that suits your style and will fit the occasion!